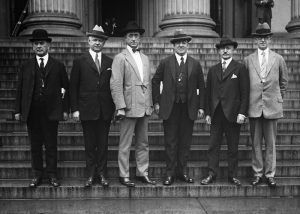 The FBI originated from a force of Special Agents created in 1908 by Attorney General Charles Bonaparte during the Presidency of Theodore Roosevelt. When the two first met in 1892, Roosevelt, then Civil Service Commissioner, boasted of his reforms in federal law enforcement. This was a time when law enforcement was often political rather than professional. Roosevelt spoke with pride of his insistence that Border Patrol applicants pass marksmanship tests, with the most accurate getting the jobs. The two men shared the conviction that efficiency and expertise, not political connections, should determine who could best serve in government. When Roosevelt became President of the United States in 1901, he appointed Bonaparte to be Attorney General. In 1908, Bonaparte applied their Progressive philosophy to the Department of Justice by creating a corps of Special Agents. It had neither a name nor an officially designated leader other than the Attorney General. Yet, these former detectives and Secret Service men were the forerunners of the FBI. Today, most Americans take for granted that our country needs a federal investigative service, but in 1908, the establishment of this kind of agency at a national level was highly controversial. The U.S. Constitution is based on “federalism:” a national government with jurisdiction over matters that crossed boundaries, like interstate commerce and foreign affairs, with all other powers reserved to the states. Through the 1800s, Americans usually looked to cities, counties, and states to fulfill most government responsibilities. However, by the 20th century, easier transportation and communications had created a climate of opinion favorable to the federal government establishing a strong investigative tradition. The impulse among the American people toward a responsive federal government, coupled with an idealistic, reformist spirit, characterized what is known as the Progressive Era, from approximately 1900 to 1918. The Progressive generation believed that government intervention was necessary to produce justice in an industrial society. Moreover, it looked to “experts” in all phases of industry and government to produce that just society. 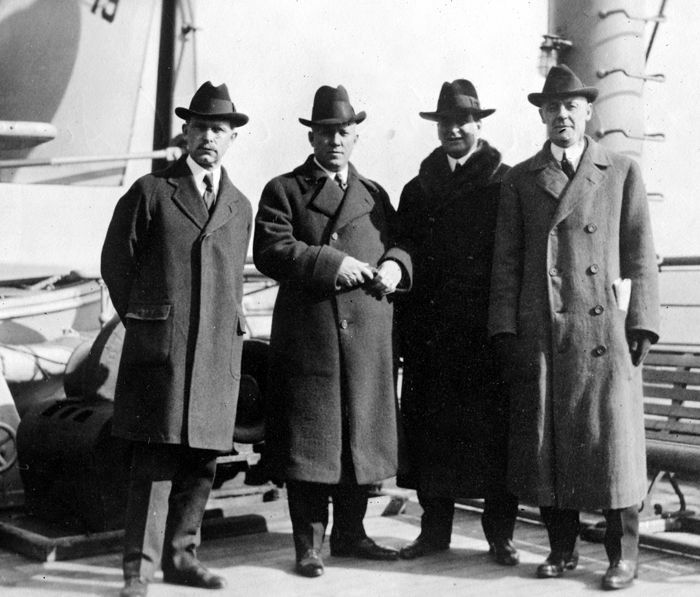 By 1907, the Department of Justice most frequently called upon Secret Service “operatives” to conduct investigations. These men were well-trained, dedicated — and expensive. Moreover, they reported not to the Attorney General, but to the Chief of the Secret Service. This situation frustrated Bonaparte, who wanted complete control of investigations under his jurisdiction. Congress provided the impetus for Bonaparte to acquire his own force. 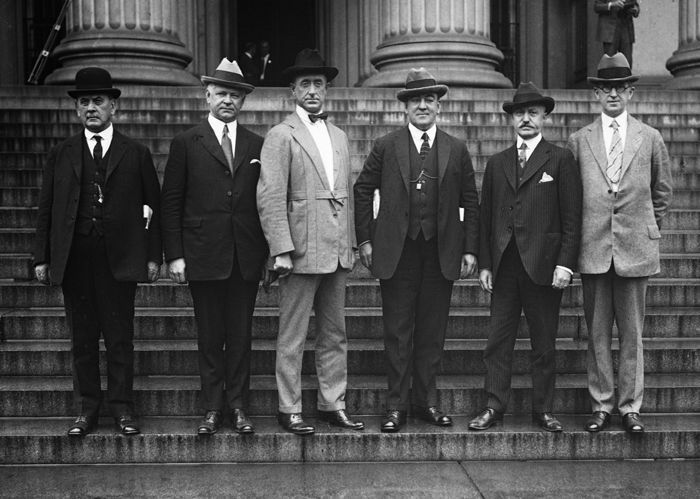 On May 27, 1908, it enacted a law preventing the Department of Justice from engaging Secret Service operatives. The following month, Attorney General Bonaparte appointed a force of Special Agents within the Department of Justice. Accordingly, ten former Secret Service employees and a number of Department of Justice investigators became Special Agents of the Department of Justice. On July 26, 1908, Bonaparte ordered them to report to Chief Examiner Stanley W. Finch. This action is celebrated as the beginning of the FBI. 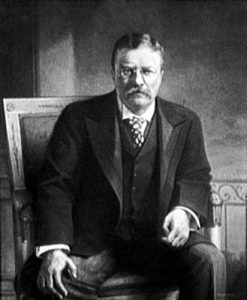 Both Attorney General Bonaparte and President Theodore Roosevelt, who completed their terms in March 1909, recommended that the force of 34 Agents become a permanent part of the Department of Justice. Attorney General George Wickersham, Bonaparte’s successor, named the force the Bureau of Investigation on March 16, 1909. At that time, the title of Chief Examiner was changed to Chief of the Bureau of Investigation. When the Bureau was established, there were few federal crimes. 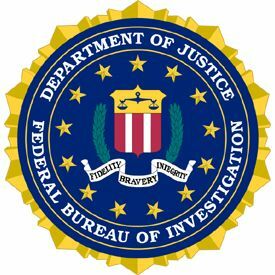 The Bureau of Investigation primarily investigated violations of laws involving national banking, bankruptcy, naturalization, antitrust, peonage, and land fraud. Because the early Bureau provided no formal training, previous law enforcement experience or a background in the law was considered desirable. The first major expansion in Bureau jurisdiction came in June 1910 when the Mann (“White Slave”) Act was passed, making it a crime to transport women over state lines for immoral purposes. It also provided a tool by which the federal government could investigate criminals who evaded state laws but had no other federal violations. Finch became Commissioner of White Slavery Act violations in 1912, and former Special Examiner A. Bruce Bielaski became the new Bureau of Investigation Chief. Over the next few years, the number of Special Agents grew to more than 300, and these individuals were complemented by another 300 support employees. Field offices existed from the Bureau’s inception. Each field operation was controlled by a Special Agent in Charge who was responsible to Washington. Most field offices were located in major cities. However, several were located near the Mexican border where they concentrated on smuggling, neutrality violations, and intelligence collection, often in connection with the Mexican revolution.